Creativeness is always Hankerie's trademark. Followed up from my previous post - watermelon swiss roll, I've gotten an overwhelm comments and feedback. Today I've made swiss roll again with the slightly reduced sugar recipe with same technique, rolled them into orange look recipe but taste like vanilla swiss roll. Your taste bud is greatly confused by both looks and taste together. About the whipped cream, in order to obtain the extra smoothness, I've filtered out the raspberries seed and mix the crush seedless raspberries into cream. 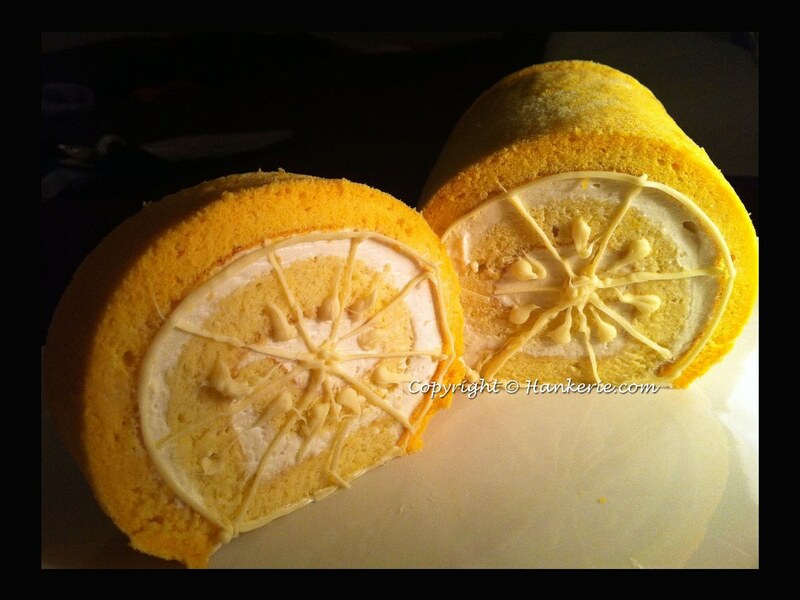 By using melted white chocolate, detail out the orange look swiss roll. I guess for my next creative swiss roll idea, some other taste will be mixed into these swiss roll look or perhaps make it into the same taste as its look. 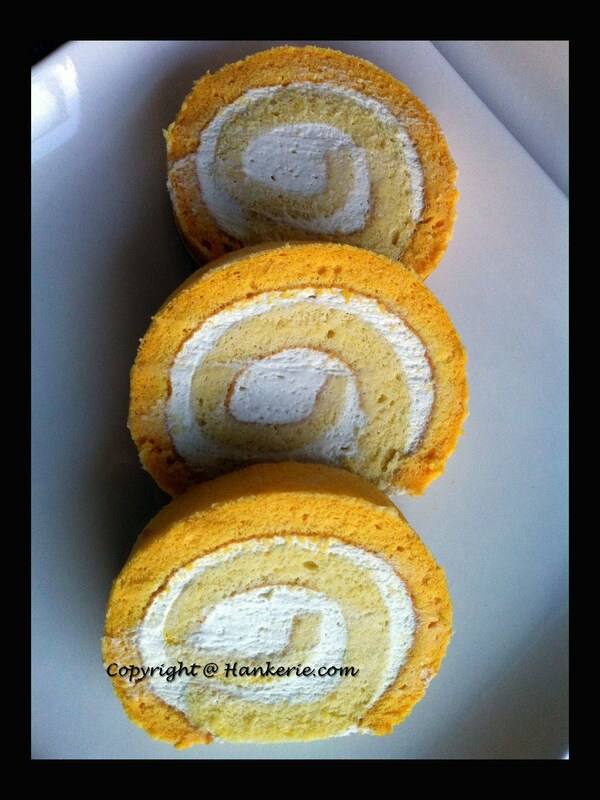 This two tone colour swiss roll make them look like orange flesh for the first step. 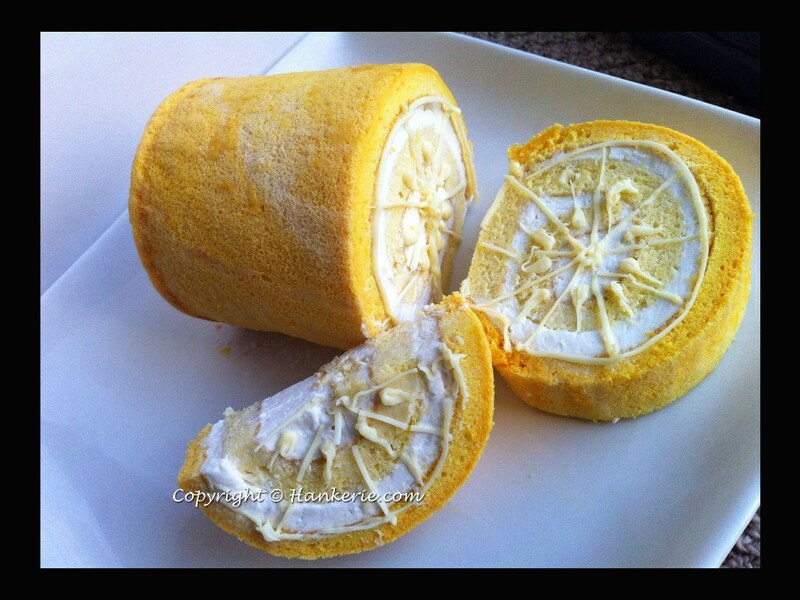 My friend has claimed this photo looks like cotton-soft bed alike swiss roll. Substitute the green and red colour to yellow and orange colour. 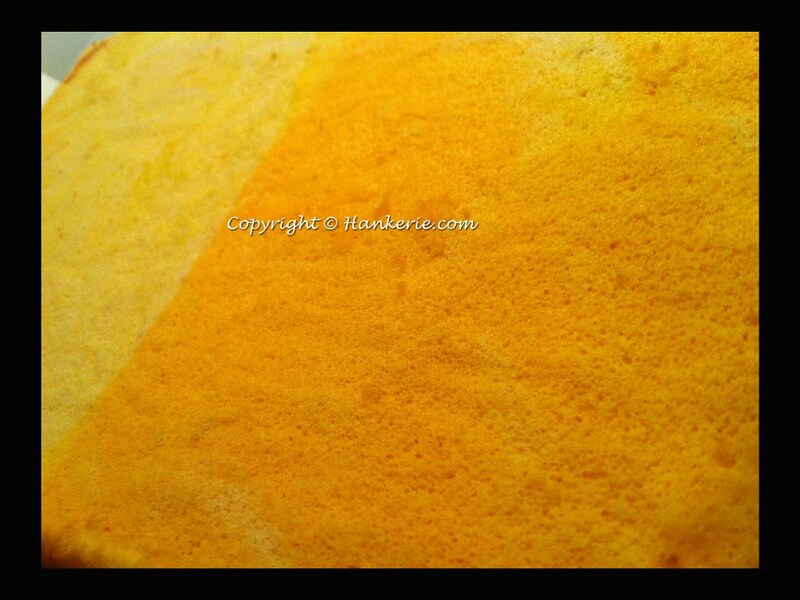 Reduce sugar for the cake to 20g. Filter out the fresh raspberries seed that incorporate into whipped cream.